There is a tendency for demand growing for high-quality event planning. Event business turns into a more profitable market segment. No surprise, that many new event planning companies are popping up over the horizon. Though, you must know that event business is not a celebration at all, it is a hard and exhausting work in 24/7 mode. What is Purpose of This Service? This question may be freely divided into two parts: What kinds of events are we talking about? And, what is event planning? As you can see from the list, all special events may be referred to business, social life and somewhere in between. A particular event’s size and type set a rule about how many activities your business is going to be engaged in. In its turn, your specialization dictates the activities in your service list. In general, there are several ways of banquet, buffet, and other similar events arrangements. For example, employees can cook and serve the table by their own means. They can even clean the area tonight or next morning. But this method matches small corporate events only. Keep in mind that employees have no end of trouble, they had to eat random dishes, event entertainment depends on the attendees’ wittiness. In most cases, the event goes around cheers food and drinks. This method doesn’t meet the requirements of a modern reputable enterprise. The second well-known way of event planning is to make a banquet or buffet at a restaurant. Though, this decision isn’t really suitable for organization of presentations, important events celebrations, new offices launching, and corporate picnics. The main disadvantage of this method is the absence of possibility to celebrate the event in a special site. Coffee breaks, seminars and different trainings catering are also on demand. Of course, there are special business centers that provide the appropriate list of services, but their fees are too high and they locate in large cities only. The alternative method is not convenient enough. Self-planning of seminars suppose buying coffee, tea, treatment, bringing electric kettle, dinnerware for 20-40 persons, cleaning the dishes by attendees means. Sometimes, there are two coffee breaks instead of one. What is about birthday parties and night-ins? Not everybody want to spent two days buying piles of food and drinks in shops and local markets and than cooking and serving it. What is about arranging a party at a restaurant? This is not always suitable, especially when a customer have a large house or an apartment. To choose a restaurant that is prestigious enough, have affordable prices, enough sitting capacity and beautiful interior. To agree several variants of menu with restaurant manager and company’s authorities, discuss the discount system, and than supervise the quality and quantity of the dishes ordered. To arrange for musicians (the restaurant may have no own musicians in the staff, or they may perform badly). To find an event emcee, e.g. a professional entertainer. To plan an event (or you risk to get a regular bar crawl instead of event). To arrange for competitions and to buy needed prizes (the reason is explained in the previous item). To invite professional showmen (if the company’s staff wishes) and agree price, program and performance period with them. To organize transporting of gipsy employees to their homes (due to the late time). And so on, and so fourth. There are people called “toast-masters”, but their can solve the abovementioned cares on a partial basis only. Besides, they focus on private events more. The number of professionals that can emcee a corporate or business event is limited. The next question arises here: where can you find such a person? The incorrect choice may spoil either event or the career of an employee, who was responsible for the event planning. Nevertheless, hundreds of attendees won’t feel more comfortable anyway. Otherwise, a well-organized event is recollected years by. The same is true for a failed event too! That is the reason why many organizations and sole proprietors agree to pay money willingly for those event planners, who are going to make an all-inclusive party. The global arena is full of thriving companies and sole proprietors, who want to set themselves, their families, and staff free from this daunting and exhausting task. They would rather hire a person, who may plan any event in a professional and proper manner. 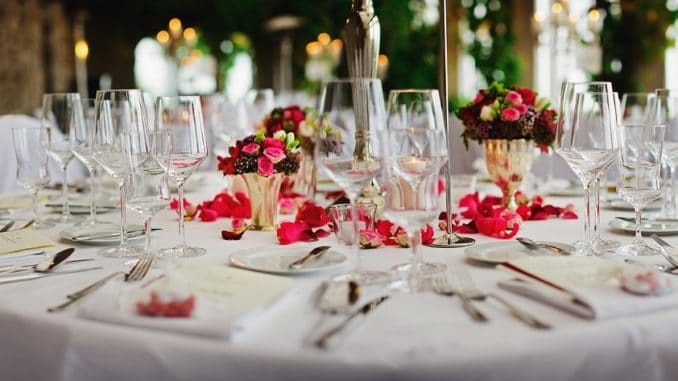 Event planning company’s setting up may cost you from 8,000 up to 35,000 US dollars. You will have to pay for commercial location rent, equipment, inventory, licenses, communications, advertising and promotion, legal fees and accounting, insurance and so on. Activity area. The future companies’ managers are told at international MBA seminars about the importance of narrow focus for small and midsize businesses. Event business is not an exception. For example, event staffing agencies may be focused primarily on conferences, club parties, sporting events, etc. The further development strategy depends on the activity area. Target audience. It is important to define the end consumers, their average age, income range, personal needs, and interests, before starting to prepare your business development plan. Having this information at your disposal, you will be able to understand what niche your event agency will occupy and to learn effective marketing strategies. It’s all about the people. Only professional specialists will provide a success for a company. If you are short of money, and can hire several specialists only, you must decide what responsibilities you may carry by your own, and what tasks can be done by a professional only. Besides, pay attention to young specialists and students because many of them would be glad to gain experience for small salary. At your turn, you would get a chance to reduce expenses. Knowledge is power. You had to master successful event agencies experience and pay attention to leading event experts’ tips. Special education, or getting CSEP (Certified Special Events Professional) or CMP (Certified Meeting Planner) at ISES and MPI will do a good job for you. Learn from the mistakes of others. The event experts can share either tips or their mistakes that they made on the initial stage of operation, with you. This information can be very precious for you. Professional contacts. Event planning supposes a deep knowledge of correct places, good relationships with mass media employees, companies’ PR-managers, a huge number of emcees and photographers, etc. All this is achieved as years passed. So, first you had better to work several years in event planning company in order to open your won business furthermore. Many successful event planners started this way. Such practice allows gaining needed contacts very quickly. event design and décor, including balloon decoration, flowers and plants décor, event stands décor, etc. rental equipment, as like renting power and sounds (microphones, amplifiers, screen projection unit with PC, screen, audio system with disks set, etc. ), tents, plastic furniture, dinnerware, concession equipment, an so on. libation, fruits small wholesale sourcing (a customer pays you a larger amount afterwards). Potential clients and attendees’ list drawing (for promotional offers).